Auto company logo. sport car silhouette on white and black background. vector illustration. Auto company logo design concept with classic pickup motor vehicle silhouette on black background. Vector illustration. Auto Company Logo Vector Design Concept. Car business cards. Auto company logo design concept with vintage hatchback car silhouette on blue and white background. Vector illustration. Auto Company Logo Design Concept with classic American style sports Car Silhouette on black background. Vector illustration. Logo for car on a white background. Auto company logo. Blue and white background. Modern auto company logo vector design concept jeep. Auto company logo design concept with sports blue hatchback car silhouette on black background. Vector illustration. 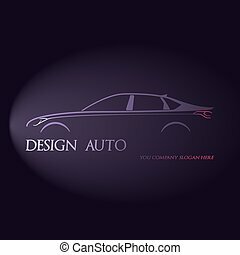 Abstract car design concept automotive topics vector logo design template. Auto Company Logo Vector Design Concept with white and dark blue background. Auto services logo. Automotive logotype. Vector template. Vector company logo icon element template violet car contour shape fast racing automobile service auto. Vector illustration. Vector company logo icon element template car contour shape sedan blue automobile service auto. Vector illustration for your buisness. Vector company logo icon element template car auto drawing line contour shape.